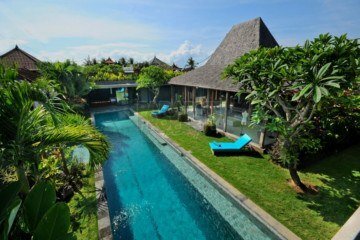 This modern 350m2 villa is located in the Subak area of Canggu, surrounded by beautiful rice fields, yet close to the famous and lively Seminyak beach. The villa is located even closer to Echo beach, famous for its surfing haven. 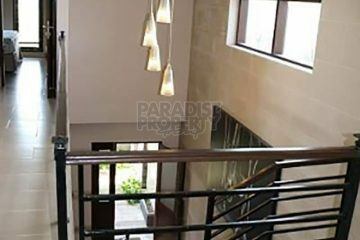 This 3 bedroom villa, consists of 1 master bedroom with 2 guest bedrooms upstairs. A private swimming pool in the middle of a beautiful garden of exotic tropical foliage. This villa is perfect for a large family or a group of friends.